For my fourteenth giveaway in my Christmas Giveaway Bonanza I have a truly fabulous prize. 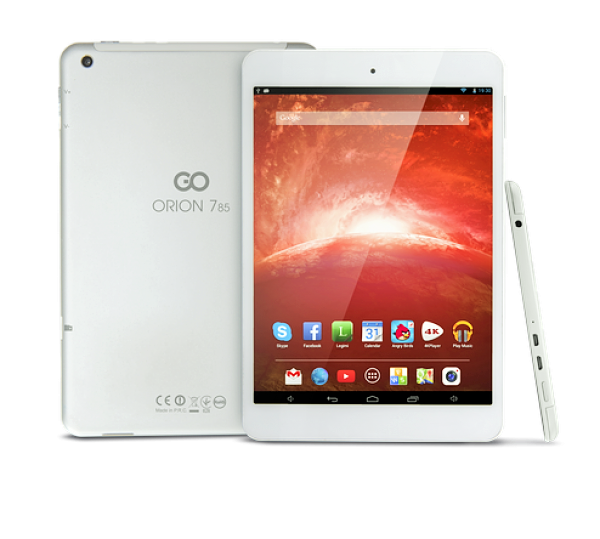 A GoClever Orion 7.85 inch HD-IPS 8GB Quad Core Tablet with 2MP Camera, 2 year warranty and HDMI cable included from Ideal World TV. 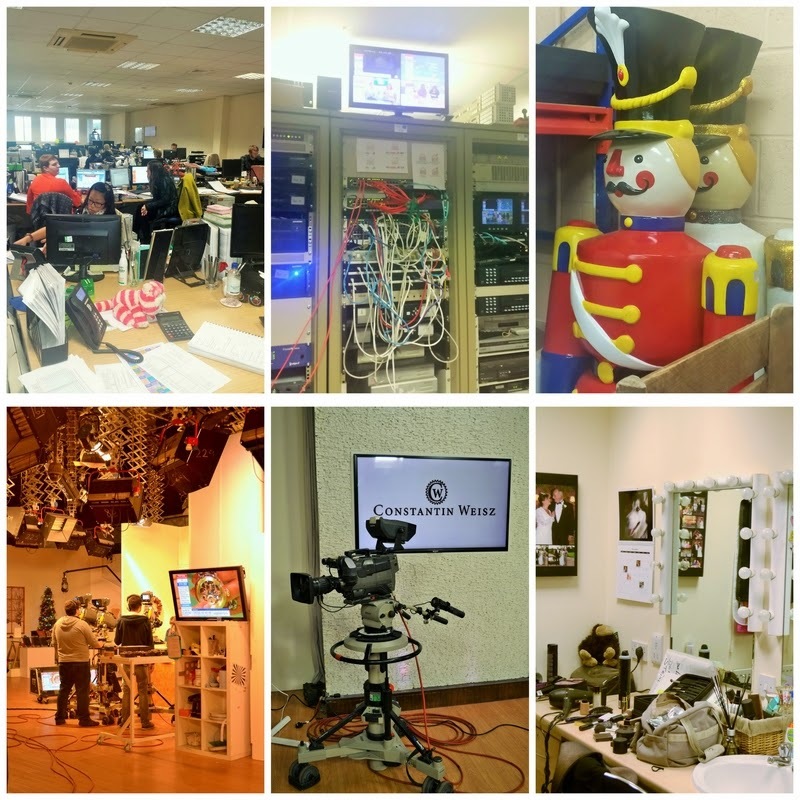 I was recently lucky enough to have a studio tour around Ideal World TV. In case you haven't come across them before, they are a TV shopping channel. Go on flick through your channels you'll find them (Sky 654, Freeview 22, Virgin 747, Freesat 812). I went on the tour with my blogger buddies Sarah from Maison Cupcake, Helen from Fuss Free Flavours and Emily from A Mummy Too. 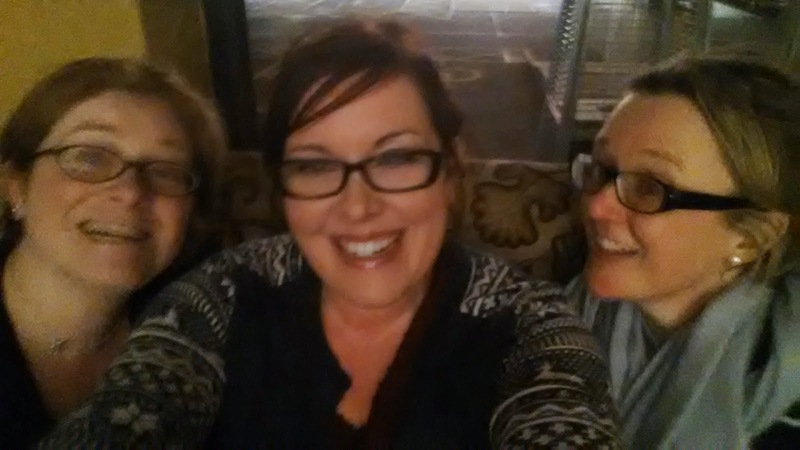 Sarah, Helen and myself started the trip early with a stay over at a Premier Inn and a meal out at a local Chiquito, which I really enjoyed. Good food and a good natter. 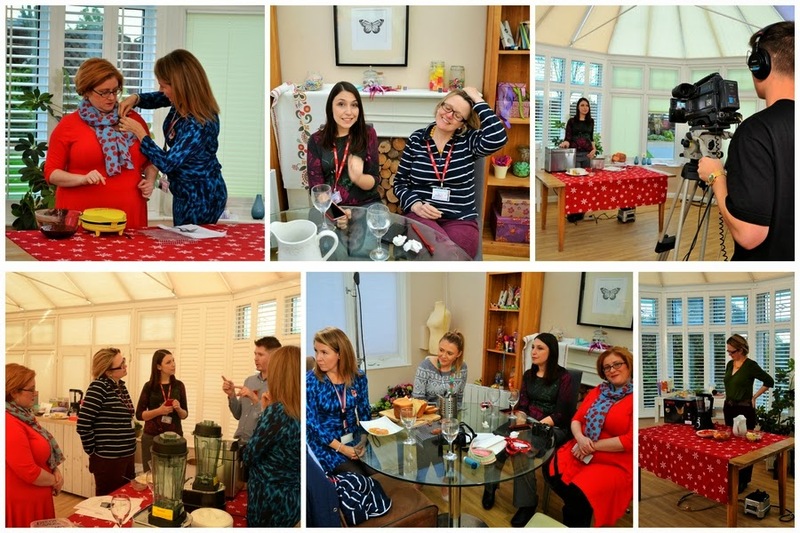 The next day we arrived at the studios bright and early and were met by PR Executive Laura Murden, Executive Producer Dan Thomas and Presenter Joanne Vandermerwe-Mahon. They told us a bit about the company and then took us on a tour around the studio and behind the scenes. After lunch Sarah, Helen and Emily all had a go at presenting. I skipped on this as I had a bad chest infection and couldn't stop coughing. It must have driven everyone insane! They all did a really good job. I fear I would have been no where near as good as they had I given it a bash. My impression of Ideal World TV? Although it's a big operation, it has a very friendly and relaxed family feel to it. 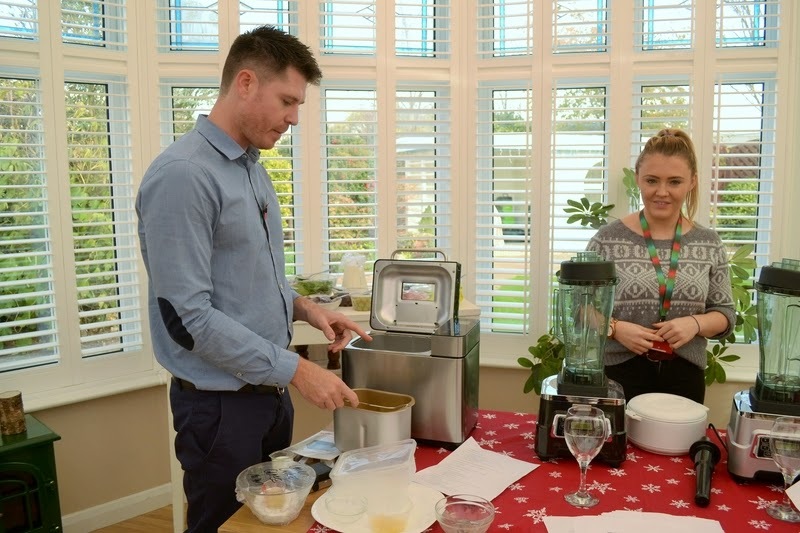 Products go through many processes before they get on air and staff take them home to give them a thorough testing before any product goes live on air. The programmes themselves are not sell, sell, sell, with prices changing, with high pressured techniques. It's more like a daytime chat show. The main aim of the show is to make sure the customer can really see how the product works from unpacking it, to what buttons to press and what you can do with it. This is always going to be better than buying a product blind from another shop. If you miss a show you can go on their website and watch a clip of the product being used. They also have good buying terms to make it easier for the viewer to pay for bigger items and you can actually tweet them while they are live to ask them a question or to ask them to demonstrate something with the product. Truly interactive. I was really impressed. When the GoClever tablet arrived we were very impressed. It came fully charged and before I had a chance to have a proper look at it and set it up, Cooper got hold of it and was off and running. Cooper is four years old (nearly five), so it really is easy to use. He was very impressed that Angry Birds was already loaded on the tablet for him to use. There were icons on the desktop for all the usual applications and more to choose from in the library. This GoClever tablet screen isn't as sharp as an iPad, but it makes up for it by being super light and easy to use. Great to carry around in your bag and a good one for kids as it isn't too expensive, although I would still recommend buying a cover for it. Basically you are getting a budget tablet, that is pretty speedy and light to carry, but not as high resolution as an iPad. Perfect for browsing the web or checking your emails. It's RRP is £99.99 but is on offer at Ideal World TV for £79.99. 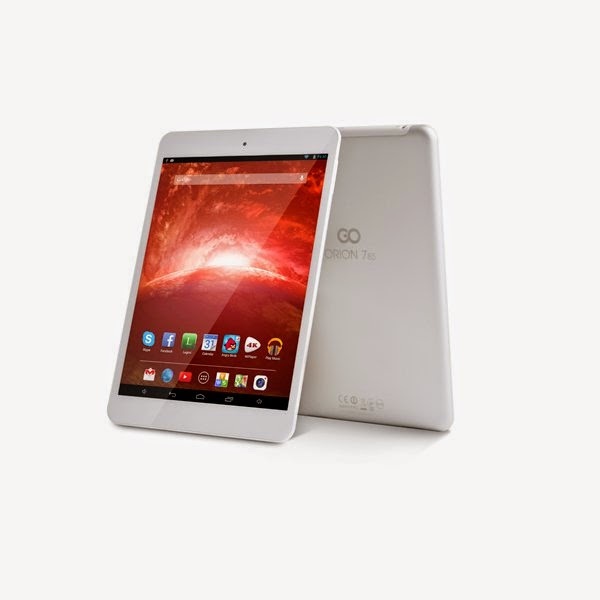 Would you like to win this tablet? Just leave me a comment letting me know if you have watched Ideal World TV before and enter using the rafflecopter box below (it may take a moment to load). This giveaway is open to my UK readers and closes on 3 January 2015. A big thanks to Ideal World TV for inviting us down and for providing me with a review tablet and one for one of my readers. As usual I was not expected to write a positive review and any opinions expressed are my own. I haven't been I'd like to! Yes! I do love a shopping channel on my day off! I have seen it on occasion. 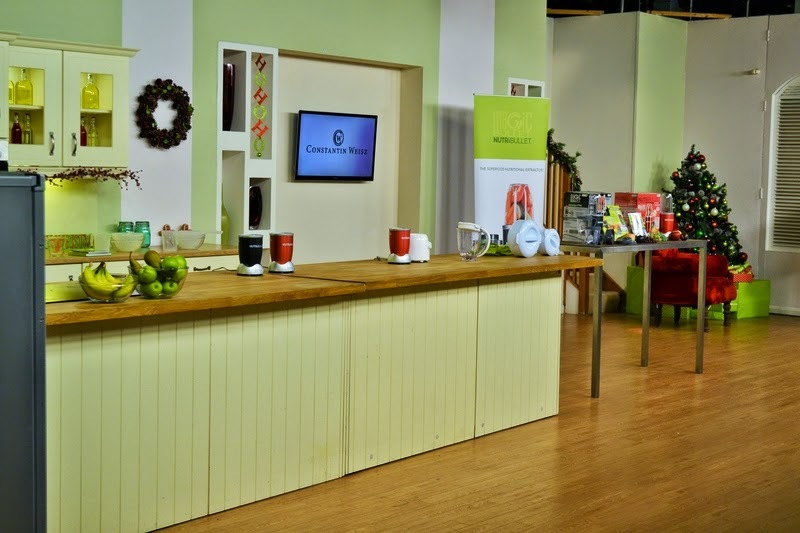 I have watched the shopping channels before, including Ideal World, Love the friendliness, and chat amongst the presenters. I watch it when they have craft products on sale, but in general I prefer their sister channel, Create and Craft. I havent - will need to try! I have seen bits of it whilst channel hopping, but it is not something I would normally think I must watch. Yes, I've watched it before. Yes-when I'm in the mood for a bit of indulgence. Yes I have watched them before. I have watched and purchased, good products and quick delivery. I always end up there when channel surfing! I used to watch it quite a bit, less so now. Never have seen it before, I might do now! No I haven't but that is not a surprise as I don't watch much TV these days. no but im sure it is availableon these many gizmos we have ! I hadn't heard of them before until now, but they are on my radar now. No, I mainly listen to the radio or watch historical/factual stuff. I haven't heard of it before!! Yes a couple of times. David Williams - Never even heard of it! I have watched but not bought anything. ..yet! No, I've never seen it but I have heard of it, and would be interested to see behind the scenes! I've watched it at my mums' house before and enjoyed it and she has bought from the channel. I've watched one or twice. I've watched once or twice. I didn't even know it existed?! I love watching it, but my wallet doesn't! I have, albeit when nothing else was on. I think i may of seen it at a friends house but i have never watxched it in my house. Nope - didn't know it existed! Only when skipping channel, and thought the items are cheaper elsewhere. Never, I prefer reading or the net. A few times, but not very often. I have not seen it, but I've made a note to. I have I often flick through the shopping channels late at night to see what's they are advertising as it's good to see what products and ideas are on offer. I've never really watched the shopping channels before. No I haven't but my brothers friend used to work there! My nan is obsessed with it so it's always on whenever we visit. Not yet but it is on the to do list! I never have but it looks like fun to watch! I haven't as I'm afraid I'd just end up buying too much! Don't get this on my tv! I've never watched it. I tend to avoid the shopping channels to resist temptation. Yes i have watch a few times and really enjoyed it, found it very interesting..
No sorry I haven't heard of it! I don't think so although I may have done and just not realised. I don't think I have - I'll have to check it out! It's dangerous - makes me want things! I have - I love it! Nope, but I'd like to! No, I don't think I've seen it before but I'll check it out soon. No I have,nt but will have a look!! I do, but not too much or I'd be swamp with everything I could order! Not for a long time. I used to watch the shopping channels which just made me buy lots!